I don’t neglect my neck, per se, but I certainly don’t treat it with the active love and respect I show my face. Case and point: My neck has never worn a mask. My face, on the other hand, has been buffed, hydrated, and brightened with every clay, bubble, gel, and sheet mask on the market. It’s been peeled, toned, and massaged. 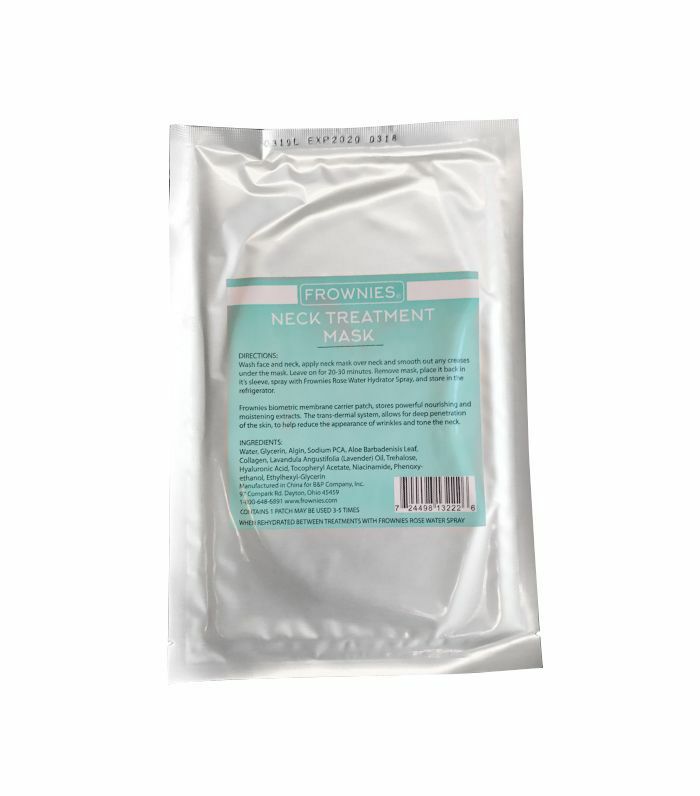 So, I decided, it's only right to show my neck the same courtesy when Frownies Neck Treatment Mask ($15) came across my desk. Meant to address creping and creasing on your neck as it nourishes the skin, this gel mask might just be my saving grace. You see, I have had lines across my neck for as long as I can remember. They've deepened with age, for sure, but I have memories of those subtle neck folds from middle school and perhaps even earlier. It's not an age thing as much as it is a genetic thing, at least for me. I slid the slimy gel mask out of its plastic packaging and smoothed it along my neck. For a moment, it felt like I was in a cast. However, after getting used to the initial bizarre feeling, I never wanted to take it off. It was cooling to the touch and super hydrating—I felt like I could feel it working the entire 20 minutes I left it on. The bio-metric membrane patch actually stores powerful nourishing and moistening extracts and allows for deep penetration of those ingredients into your skin. The claim is it helps reduce the appearance of wrinkles and tone the neck. After the first use, I noticed a difference in the hydration of my skin—it was plumper than usual and decidedly smoother. But still, it wasn't some magic fix that rid me of every line currently residing on my neck. But since the gel mask is reusable (the directions say three to five times, so I went with four), I reapplied it every night for those four days. I made sure to keep it moist with a rosewater spray, sealed it up back in the packaging, and stuck it in the refrigerator for an extra zing when I applied it to my skin. Sure enough, at the end of those four days, the difference was visible. My neck looked tighter and the wrinkles appeared more shallow. I'll just say it: I'm a believer. Next up: Is the phrase "anti-aging" actually problematic?